This Jasmine tea infused cocktail is yum, quick and easy to make. It’s floral, citrus, sweet and sour flavours make it a perfect drink for warm weather. The jasmine tea infused vodka would have everyone asking you at the party – what’s in it? So, get the ingredients on and try this interesting tea cocktail. Add 4 tsp of jasmine tea and a cinnamon stick to pre-boiled water and let it steep for 20 mins. Strain out leaves and let it cool and refrigerate for few hours. Place all the ingredients in a mixer and add crushed ice. Shake vigorously, strain and pour in glasses. Garnish with lemon peel. Sip it and let me know how it turned out. When you are in a fun state of mine or you simply feel like having vodka. 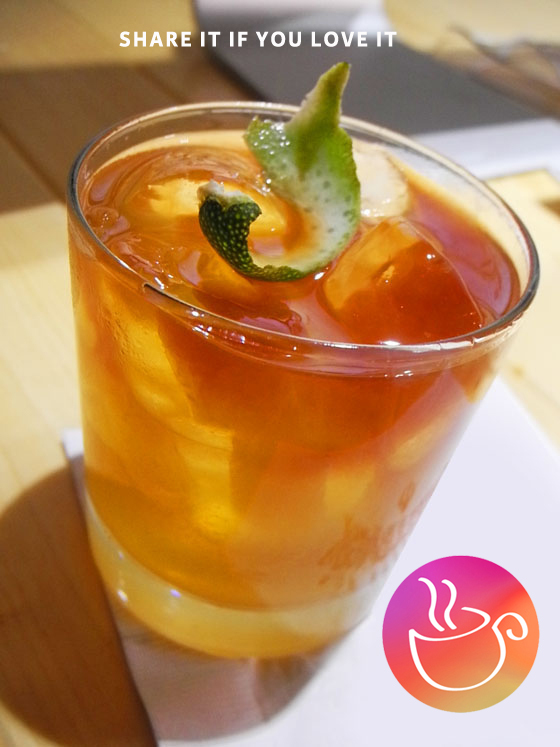 This entry was posted in Tea Cocktails, Tea Recipes and tagged fun with tea, ice tea, jasmine tea cocktail, jasmine tea infused vodka, jasmine tea vodka, tea, tea cocktail, tea recipes, vodka. Bookmark the permalink.